$100 billion in investments by U.S. refiners means we’re ready to supply cleaner, low-sulfur marine fuels to the world. The U.S. refining industry has invested more than $100 billion in the past decade to enhance operations to produce cleaner fuels. 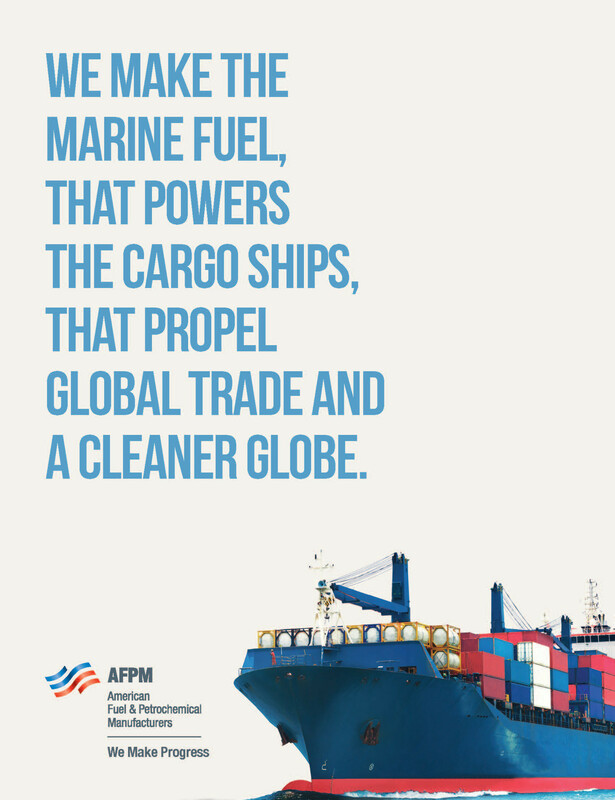 Our members help drivers get more out of their vehicles and reduce emissions from the global shipping sector, making the transportation fleet and global commerce cleaner while contributing to the U.S. economy. These investments have prepared American refiners for January 1, 2020, when the International Maritime Organization (IMO) will lower the allowable sulfur content of marine fuel from 3.5 percent to 0.5 percent. Although marine fuels account for just 7 percent of transportation fuel demand, they account for 90 percent of transport sector SO2 emissions, according to Goldman Sachs. With an abundance of light, sweet crude and the most complex refinery system in the world that can generate low sulfur, IMO-compliant fuel more efficiently, the U.S. energy industry is prepared to supply the market with feedstock and fuel come January 1. Learn more about how U.S. fuel and petrochemical manufacturers are making life easier, safer and more productive at www.WeMakeProgress.org.